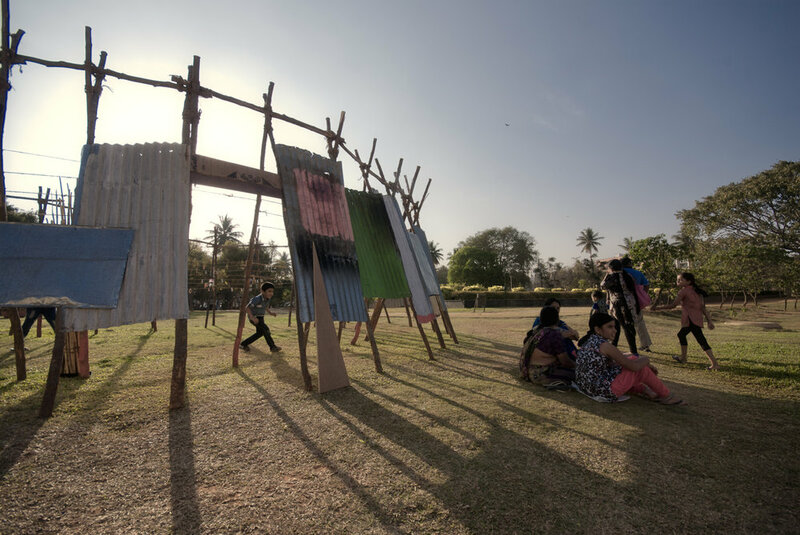 I Commit’ is a pavilion that encourages visitors to commit to following responsible practices around reducing, re-using, re-cycling and segregating waste. 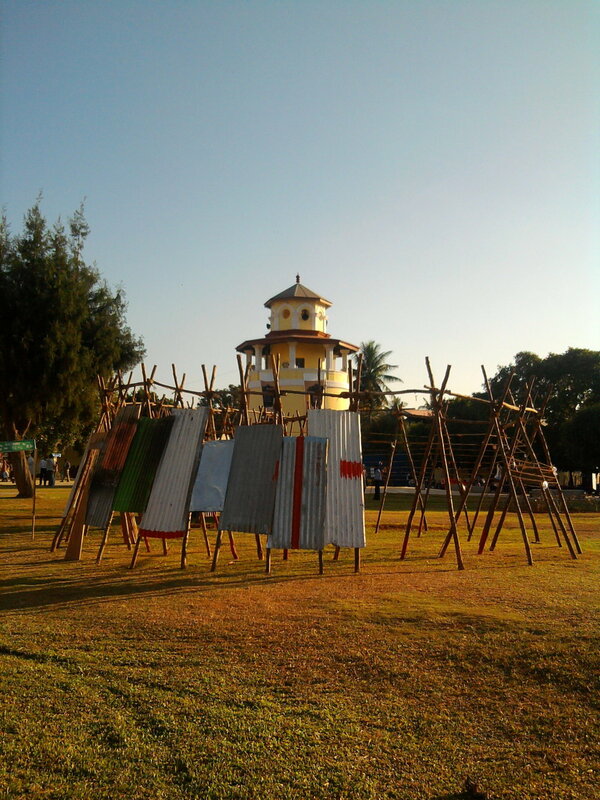 The entire pavilion is created using re-useable and discarded material from construction sites around the city. 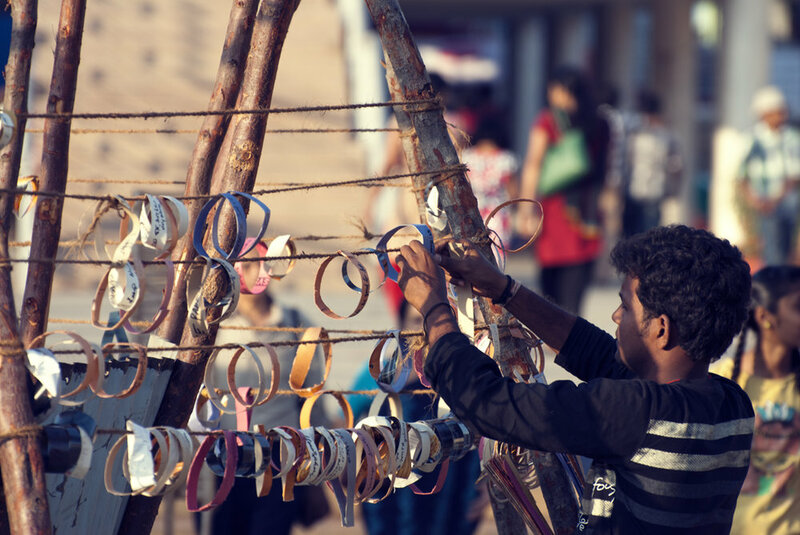 Visitors to the park for the ‘Wake Up Clean Up Bengaluru’ Habba pick up strips of waste material, old newspapers, food wrappers and plastic and loop them in the form of Mobius strips, as an affirmation of their pledge. 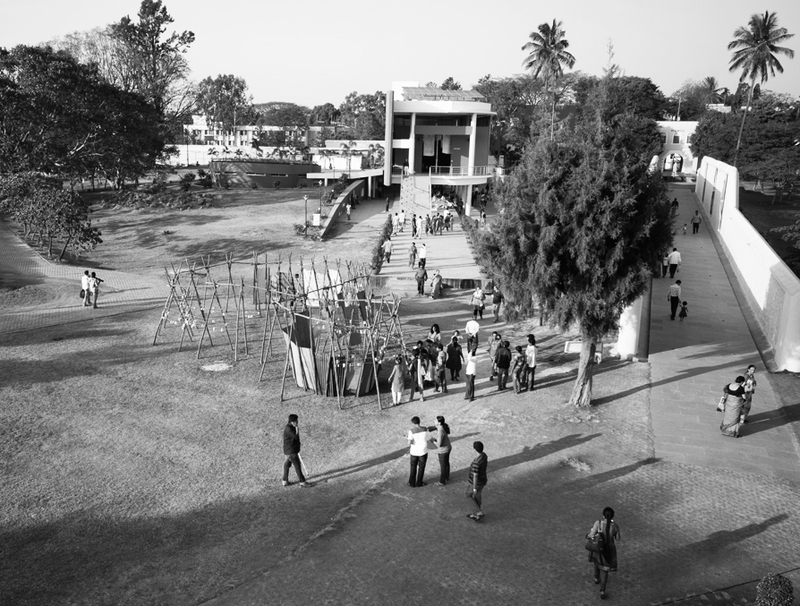 This action gradually populates the pavilion with a foliage of Mobius pledges.